With multiple branches created in BMO Online Inventory Malaysia, it is advisable to have its own letter head for proper invoicing and other purpose. In this tutorial, we will guide you on how to have a branch letter head. 1. Go to Admin > Branches . 2. You will see a list of branches you have created previously, in the system. Click on Edit to add the letter head to that branch. 3. After you have click on Edit, you will be redirect to updating a branch detail’s page. 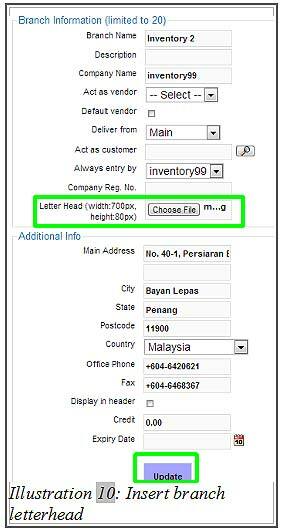 From here, choose the image of your branch letter head and click on Update button to update the branch’s detail as shown in the illustration below. 4. 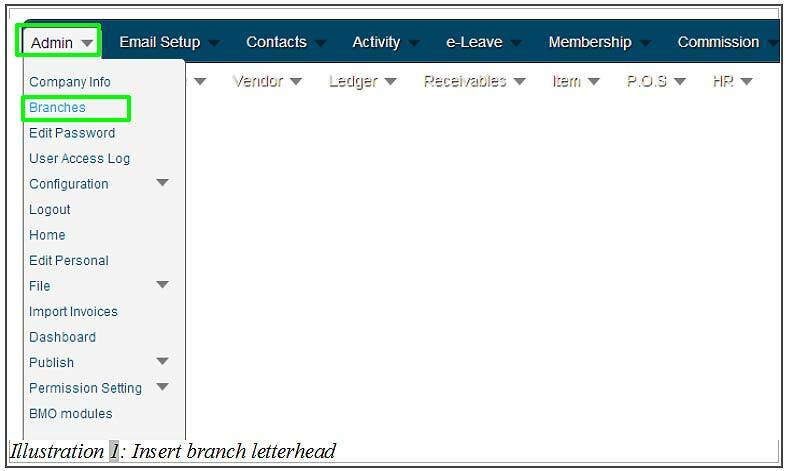 Now, you will see a newly updated branch’s detail with letter head in your Branch page.